Staff – Helping Kids Reach the top through education and Tennis! Mavi was named Executive Director of New HYTEs in the fall of 2014. Under her leadership, New HYTEs has elevated the quality of its programming; broadened the organization’s footprint in the greater New Haven community through strategic partnerships; and has strengthened its ties to the USTA Foundation National Junior Tennis & Learning (NJTL) network. Since taking the reins, Mavi has expanded the flagship after-school program of New HYTEs called TEaM (Tennis, Education, and Mentoring) from serving two elementary schools in New Haven to seven. Additionally, Mavi has implemented a pioneering curriculum into the TEaM full-day summer program that includes academic enrichment, civic engagement, environmental studies, field trips and guest speakers, team & character building lessons; and health, nutrition & wellness activities. In 2016, Mavi embarked on a public schools initiative, called New HYTEs HYPED, that introduces the sport of tennis to elementary school students in New Haven during physical education classes. The program reaches nearly 300 students from predominantly Hispanic communities each year. New HYTEs recently completed the USTA Foundation’s inaugural Capacity Building Program which promotes long-term sustainability and accountability for NJTL chapters. New HYTEs was one of only thirty NJTLs selected to participate in this comprehensive three-year training and consulting program that requires rigorous annual deliverables on fundraising, budgeting, operations, and board development. Before joining the New HYTEs staff Mavi had years of experience in event management, logistics, and branding. In a joint venture with Cleveland Clinic and Inner City Tennis Clinics (ICTC), Mavi produced a successful fundraising campaign designed to give the organization greater visibility in the community. Mavi was born in Sinaloa, Mexico, moved to Pittsburgh, PA at age 14 with her family. She attended a low income high school and learned English starting in her sophomore year. After high school she attended Chatham College in Pittsburgh, at the time an all female institution. Mavi is actively engaged in the tennis community. 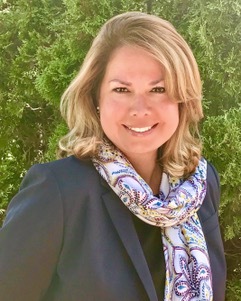 She is currently the USTA New England Vice Chair of the Diversity & Inclusion Committee, was on the board for USTA Connecticut from 2015-17, hosted USTA NJTL Round Tables, and served as a speaker for Women in Tennis Together and other USTA function. Rebekka Chenard joins New HYTEs Executive Staff September 2018 to aid in the development and delivery of TEaM’s academic curriculum. Since her start she has added several events to the JTT calendar including the Annual CT Open Family Classic Local Event, Play Days with the New Haven Lawn Club and Middlebury Racquet Club, along with hosting pilot events for the USTA including the “ITs About Time” 10 & Under Tournament and Net Generation’s Team Challenge. She has also accompanied the U16 X-TEaM and U10 Lightning Team to the Connecticut State Championships for USTA Junior Team Tennis. Rebekka graduated from The University of New England in Biddeford, ME with a bachelors degree in Biological Sciences and a minor in Chemistry. 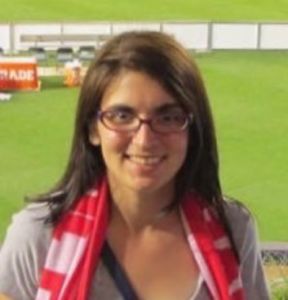 She continued her education earning her Masters of Science degree in Chemistry from Sacred Heart University in Fairfield, CT. She currently is the Tennis Concierge / InFLOW Pro at The New Haven Lawn Club and coaches their Strikers JTT team along with her role as New HYTEs Ambassador and JTT Coordinator. She participates in tennis herself and continues playing soccer as well. Rebekka enjoys making a difference in children’s lives, which is why she’s so excited to be a part of New HYTEs.